Looking for a quick healthy appetizer? 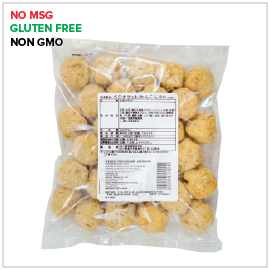 These healthy tofu nuggets are delectable options and alternatives for vegetarians or vegans. Presenting two kinds of delicious nuggets made with velvety tofu as base. Available with edamame or sliced lotus roots. 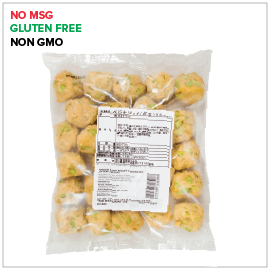 Best of all, these nuggets are made with non-GMO ingredients, do not contain MSG, and are gluten-free. Serving suggestions: Steam the tofu nuggets for couple minutes and coat with your choice of sauce for a delicious and healthy appetizer or simmer in broth to enjoy as soup.